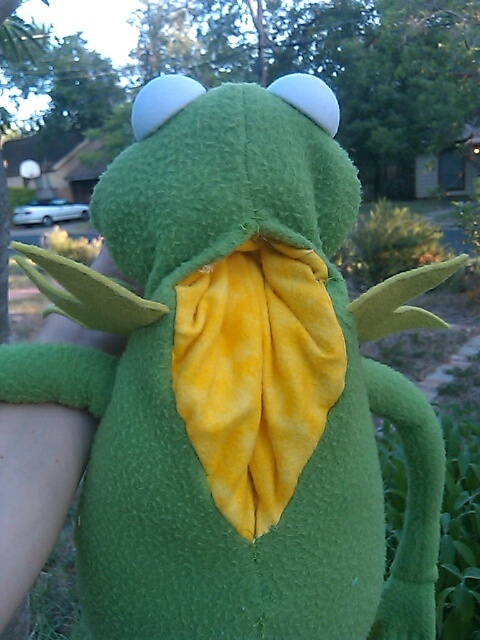 I was recently approached by some friends (Denny and Karen) to create a Kermit the Frog puppet. I was amazed to find out that the REAL puppets are hundreds of dollars. That’s just crazy. 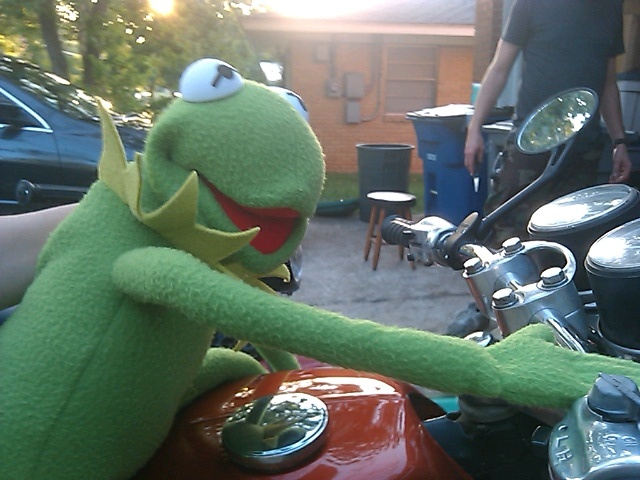 So, Denny did some research and purchased an Eden brand Kermit doll which are known for making the best puppets. It’s hard to explain just how I converted him into a puppet, but I’ll do my best. 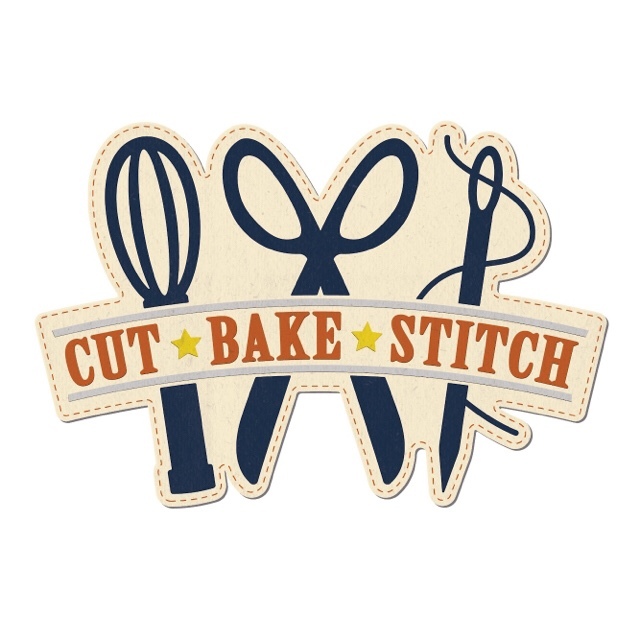 I found some fabric I liked to coordinate for his puppet pouch. Then I cut an opening on his back for the pouch. I quickly learned that his neck is too small to put a hand through, so I unstitched him past that. 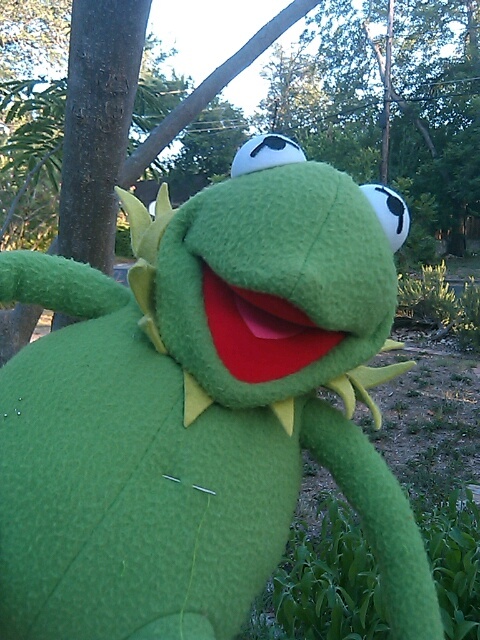 From there – I attached the fabric to each side of Kermit by machine sewing as best I could. He’s a bit awkward to fit under the machine, so I was able to hand sew the remainder. Once the pouch was attached to each side, I flipped his head inside out, removed the stuffing and a plastic mouth piece that was added to stiffen his mouth. Once removed, I attached the fabric by hand directly to the existing mouth. With a few final stitches and adjusting of the fabric, I had a cute little Kermit puppet!